Gone are the days when SEO was all about stuffing keywords into the home page text to earn the top spot on Google. Search engines have evolved tremendously and majority of the age-old fast result achieving SEO practices have become obsolete. High quality content: Consistently creating high-quality content has always worked for promoting a business online. 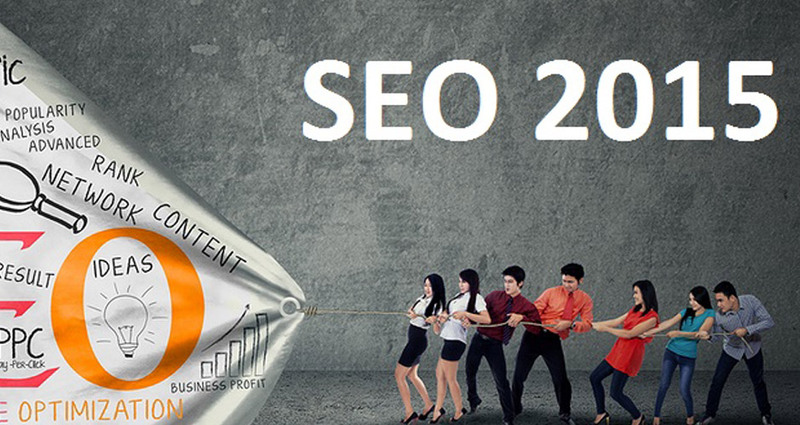 It is not important just from SEO perspective, but also from your business point of view. Google is constantly trying to detect original and well-written content. It rewards consistent quality content creation, as it proves that the business is genuinely becoming a part of the intranet dialogue. High quality content is also appreciated by visitors, which results in social sharing and greater engagement, which will be factors that affect ranking in 2015. Organic link building: Perhaps the biggest changes in search engine optimization during the past five years has revolved around one the thing – which is stopping people from manipulating the link-based algorithm of Google. And while linking still remains important, the best way to get them is to share high-quality content with webmasters, journalists and bloggers, who will willfully link to your site. It is no longer about gaining links by any method possible, it’s about earning it. Use of +1: Using the social sharing icons to encourage visitors to share your site’s content is highly beneficial; however, there is one social media platform, which if emphasized will pay high dividends. This platform is Google+. None of the social media platforms influence Google’s algorithm, except for YouTube and Google+; the reason for which is obvious. An engaging website: It’s true that Google has been deflecting from the idea that they consider sites that people regularly visit and stay on for a long time, for example Yelp, Wikipedia and Amazon; however, evidence is starting to show that Google is beginning to consider these factors. Quick loading and secure websites: Tens of millions of dollars are spent by Google to make its search results appear a hundredth of a second faster to its users. Being a company that cares so much about speed, it will certainly favor sites that serve its pages rapidly. Google also works hard towards keeping its users safe from hacked websites; therefore, sites that are encrypted will also have an advantage. Even though there many more ways to obtain better rankings, many of them are not worth focusing on, as they offer only a small incremental effect. The criteria mentioned above are highly effective, and if used will surely make your online presence more dominant in 2015.